Back in October last year we were contacted by Mr. Bernard Kaye who requested information on how to donate documents and photographs relating to his grandfather, Rifleman Edmund Kaye (from Radcliffe) who was killed in action during World War One. We informed Bernard that we would be delighted to accept the documents into our archives and in return would digitise them and provide the family with a copy of the originals. The collection includes Army Forms, correspondence from the War Graves Commission, photographs and letters sent from Edmund to his young daughter, Hilda and his wife, Mary Ann. The letter sent to his little girl, although short, is particularly poignant: Edmund begins his letter, “I thank you love for your card and glad you think of Daddy” and signs off with a heartfelt request for Hilda not to forget her prayers, “With Fondest Love, Your Daddy”. Equally poignant is a collection of photographs taken from a visit to Edmund’s grave by his then 14 year old great-grandson – Stephen Kaye – while on a school trip with Bury Grammar School in October 2000 to visit the battlefields of Dunkirk and Ypres. The photographs, along with Stephen’s account of his visit to France, remind us that the people who lost their lives in The Great War are not forgotten, and through these monuments and the preservation of surviving records in Archives around the world will be remembered by generations to come. As reported here our big open day at The Met last month was a huge success! Visitors flocked through the doors to view the artwork and learn more about our Heritage Lottery Project: Bury Remembers the First World War. Taking part was hugely enjoyable for Nic and I and our wonderful team of volunteers as we got the chance to ‘dress up’ and really feel part of the vibrant atmosphere. Another highlight of the day was sampling the mouth-watering cakes and biscuits baked by Delicious at The Fusiliers! 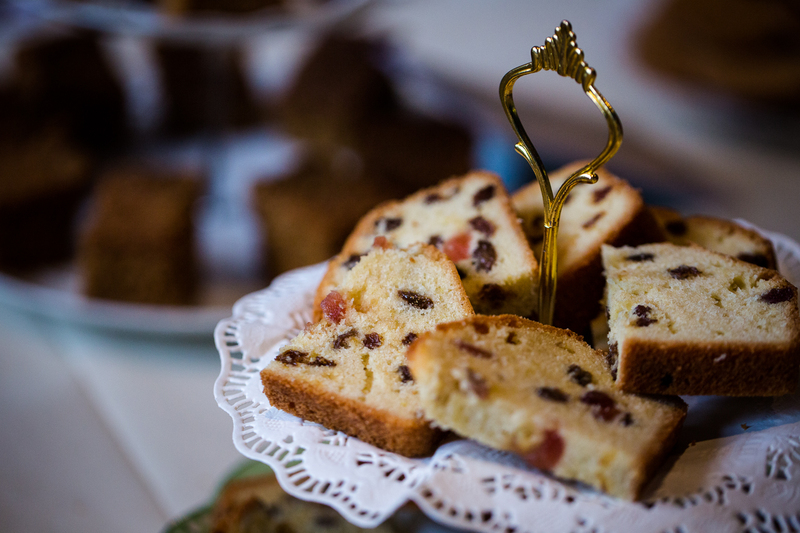 There were four types of bakes on offer: Scotch shortbread; parkin; cherry cake and war cake. All of the cakes derive from an original YMCA Bazaar cookery book printed in 1916 (currently on show in the Art Museum). This publication comprises of a number of recipes sent in from the local community during WW1 and one of the most popular bakes on the day was Miss Kitchener’s war cake – no surprise there as it was bursting with fruit and beautifully moist and crumbly in texture. Miss Kitchener was headmistress of The Bury Grammar School for Girls during those years of war and certainly encouraged her pupils to do their bit for the soldiers fighting at the Front. An article published in The Radcliffe Times in October of 1914 reported that Miss Kitchener and her girls were ‘working for The Red Cross society’ and had produced ‘1,503 handkerchiefs, 257 pillow-slips, 44 pairs of cuffs or wristlets, one helmet, five body bands, three pairs of mittens, one green scarf and one pair of gloves’. It is quite probable that versions of the cake would have been included in the many parcels sent to the Front Line. No doubt Miss Kitchener’s cousin (Lord Kitchener – Secretary of State for War) would have approved of this level of support from the Home Front. Always daunted by the huge amount of ingredients which make up a traditional Christmas Cake I’ve tended to avoid this particular ritual. However, over the weekend I decided to try out Miss Kitchener’s recipe for myself and see how the results measure up as a last-minute no-nonsense fruit cake for the festive season. The original recipe (shown above) was a bit on the vague side – especially for a novice baker like me! However, all went well and thanks to Miss Kitchener I am now the proud owner of an extremely delicious Christmas War Cake. Notes on recipe: Miss Kitchener advises 2 hours in a moderate oven. I baked my cake in an electric fan oven at 140 C for 1 hour 30 minutes to achieve the results pictured above. What I enjoy most about working in Archives is the sense of discovery you feel when learning about a collection: taking a lid from a box and examining its contents sparks a need to know more and you begin researching; gathering more and more information to build up a picture of what life may have been like 50, 100, 200 and more years ago. It’s exciting and totally addictive! I felt exactly this need to learn more when I opened the box catalogued ‘Albert Burton’. A collection of private papers which contained First World War Service Records, photographs and documents relating to Mr Burton’s time as a hospital orderly at Timberhurst Auxiliary Military Hospital in Bury. I didn’t get chance then to explore his story as some of the photographs were loaned to the Art Museum to form part of a number of exhibitions marking the centenary commemorations of The Great War. However, earlier this year I was contacted by a Mrs Carole Cockshott from Campbelltown, Australia – who requested copies of Albert’s photographs – and so began yet another journey of discovery! Members of staff at Timberhurst Auxiliary Hospital. Albert Burton far left. Carole is the granddaughter of Albert Burton and wanted copies of her grandfather’s photographs to help enable her to document his life at Timberhurst so that his story can be passed on to his descendants. Through several email messages from Carole I learned a great deal about Albert Burton and his role as a VAD (Voluntary Aid Detachment) Orderly culminating in the kind request from Carole to accept, as a donation, Albert’s medal from the St. John’s Ambulance for his War Service. A few weeks later, we now have in our possession Albert’s medal with accompanying stories of his time at Timberhurst and have provided Carole with digital copies of photographs of her grandfather. A couple of months ago, Carole gave a talk on Timberhurst Auxiliary Hospital and Albert’s War Service at her local Family History Society using the stories handed down to her by her father Norman Burton (Albert’s father). 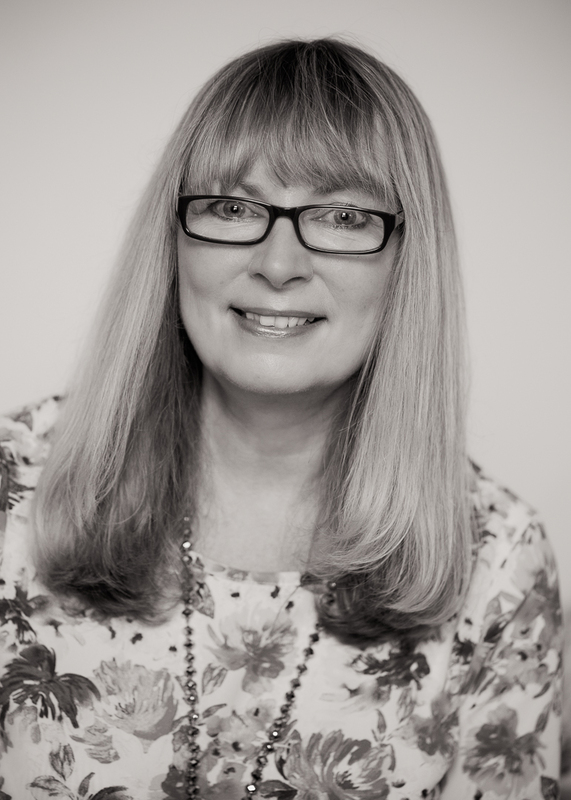 Carole was more than happy for me to share these stories with a wider audience and so here are a selection! I hope you will find them as fascinating, informative and entertaining as I did. For more information on Timberhurst and its role as a military hospital please come and see the exhibition entitled ‘Miss Openshaw’s Scrapbook’ on display in The Art Museum, Moss Street, Bury. We will be featuring more stories from Albert Burton’s time as an orderly at Timberhurst in future blog postings – if you would like notifications on new items please click the ‘follow’ icon on the bottom right hand side of the page. Alongside Albert’s stories Carole included a newspaper clipping published in The Bury Times on Tuesday 14th October 1997. The article was about her father, Norman – who had made the journey from Sydney back to Bury as part of a three month vacation in the UK. Norman, then in his eighties, had contracted a severe chest infection and very sadly died at Bury General Hospital. In the article, Carole states that her father’s passing away in his spiritual home was ‘perhaps appropriate as even though he had made his home in Sydney his heart was always in Bury’. It’s with great pleasure that the archives will be able to preserve Norman’s memories of his father, Albert Burton, along with the photographs and related documents which make up the collection. A huge thank you to Carole who has provided us with unique insights into the life of a Hospital Orderly during WW1. Read all about it … our WW1 Exhibition Open Day at The Met! We were thrilled to meet everyone who joined us for our Exhibition Open Day at The Met on Saturday. 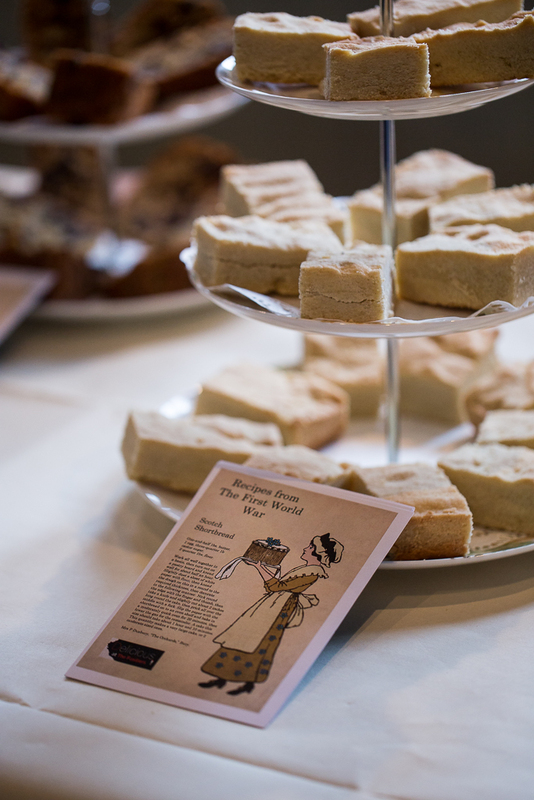 Despite the wet weather folks kept turning up to view the artwork, hear the readings and sample the cakes and biscuits baked from a cookbook published in 1916! 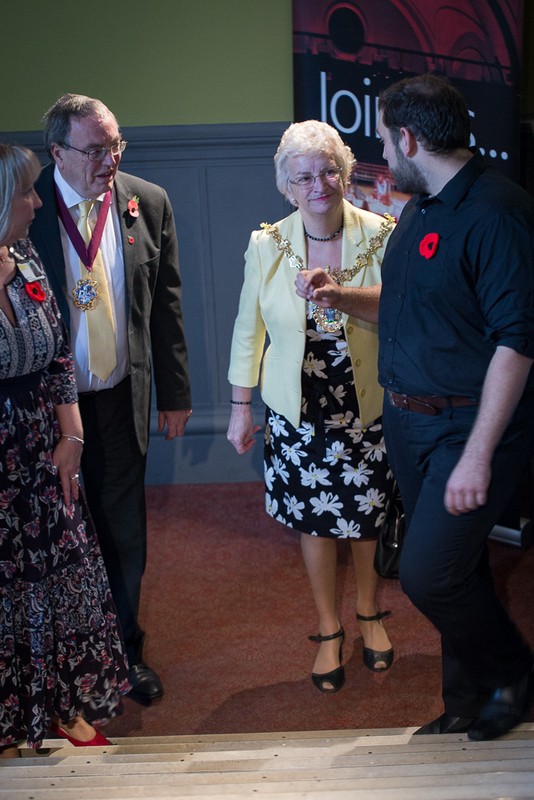 It was lovely to welcome the mayor of Bury and her Consort – she was fantastic and so appreciative of the hard work and talent which has gone into creating such a unique and striking art exhibition. We would like to express a huge thank you to all our volunteers who made the event so special – your dedication and support is always appreciated. Also thanks to Oliver for his entertaining renditions of poetry and prose. All of the pieces read out have provided inspiration for the artwork on display. 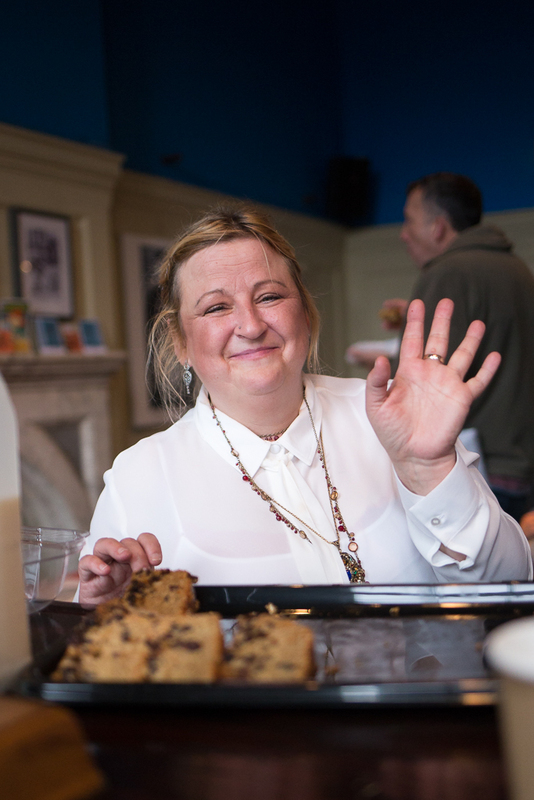 Finally, a big thank you to Wendy and her team from Delicious at The Fusiliers; the cakes, biscuits and lemonade went down a treat with our visitors – all tasted absolutely scrumptious! For more information on Bury Remembers the First World War please view our dedicated blog written and updated by Adam Carter. We were really pleased that so many of you turned up on Bury Light Night 2015 to listen to our article- and poetry-reading in Gallipoli Gardens. Nic, volunteer Penny and I really got into character wearing WW1 nurses uniforms alongside volunteer Jesse Riley, who was smartly dressed in a black suit and sporting a Fusilier tie! The projection of soldiers’ images onto the wall of the Fusilier Museum was a fantastic backdrop and the fact that The Royal Regiment of Fusilier Band played directly after our readings made the whole event truly special. 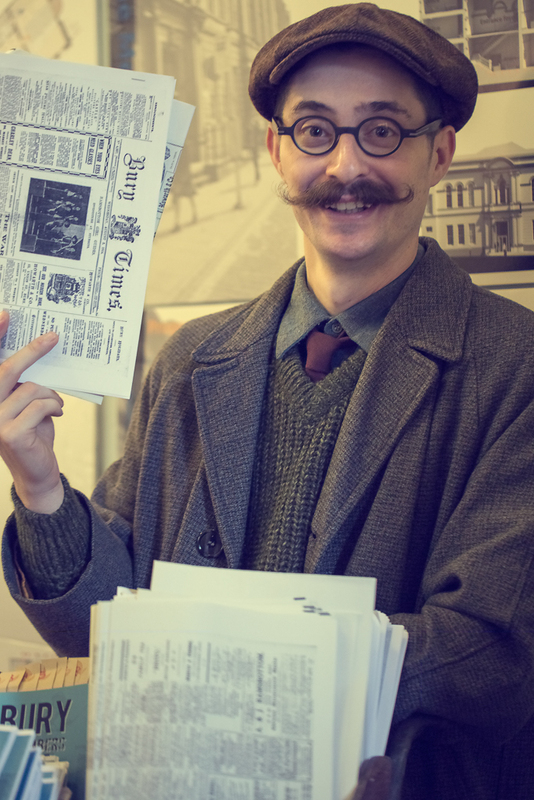 The readings were carefully chosen from local newspaper content already extracted by volunteers as part of our Heritage Lottery Funded project, Bury Remembers the First World War. As we are commemorating 100 years since the Gallipoli Landings we wanted to pay tribute to the many Fusiliers who lost their lives in the campaign. In doing so, we hoped to reveal how and in what format the local community learned of news abroad as well as giving examples of the kind of sentiments expressed in poetry written by the people of Bury and subsequently printed in the local press. If you had told me this time last year that on Light Night 2015 I would be reading out loud in front of thousands of strangers I would have laughed and run a mile! Needless to say, come 16th October 2015 that was exactly where I found myself – in a World War 1 nurses costume and being illuminated by fairy lights! It’s a funny old job being an Archive assistant! On reflection, the whole evening and the role played by Bury Libraries and the Centre for Cultural Collections was amazing. Our event was just one of the five ways that the Library service was highlighted and just one of the three ways that Adam Carter’s brilliant ‘Bury Remembers The First World War’ project was showcased. My input revolved around helping to dress the fantastic new display cases that are on show in the search room of the Centre for Cultural Collections and planning the poetry readings in Gallipoli gardens. It was a real pleasure to work with two of our volunteers, Penny and Jesse, who helped Wendy and I deliver seventeen readings extracted from local newspapers from the period. The quality and authenticity of the material we chose to deliver complemented the illuminations and created a wonderful atmosphere in Gallipoli Gardens. We received a lot of positive comments from the general public who were also delighted to assist us in our act of remembrance by accepting a packet of forget-me-not seeds to scatter freely. Some of the material read out on Light Night 2015. Please click to view large size. Over the past few months we have welcomed an incredible amount of artwork through the doors of our centre – these range from lino prints, etchings, canvases, wood-burnt images and even pottery! Together this breath-taking collection of art represents all the effort, skill, talent and dedication from the amazing artists who have been inspired by our project, Bury Remembers the First World War. Of course, this wouldn’t have been possible if it wasn’t for our fantastic team of volunteers who have given their time generously in order to extract relevant content from local newspapers in print one hundred years ago. WW1 Canteens used by soldiers from different countries. Inspiration from Ramsbottom Observer article. Artist – Charmaine Turner. The newspaper content is varied and includes articles and poems along with soldiers’ images and obituaries – once extracted they have gone on to provide inspiration for local artists who have managed to breathe new life into what was being circulated and read in Bury during World War One. 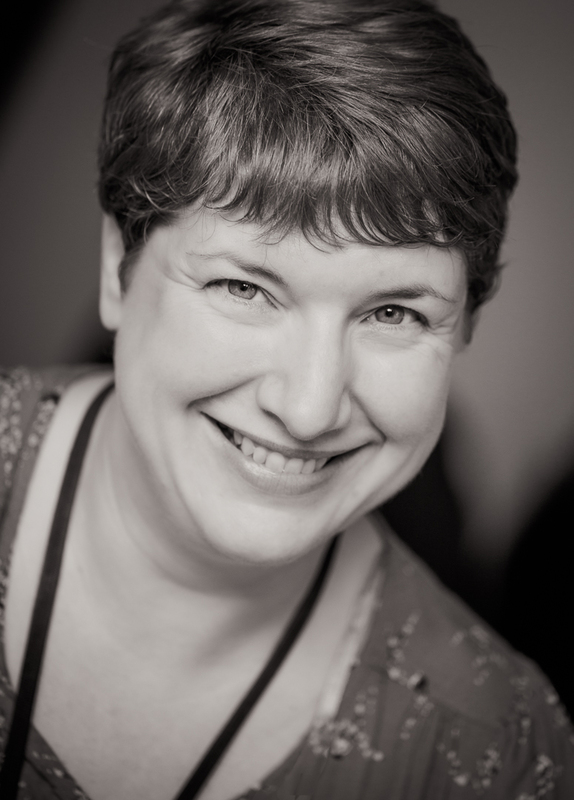 Christine Barrett, volunteer, extracting newspaper content. We want as many people as possible to view this unique collection of artwork and learn more about our Heritage Lottery-Funded project, Bury Remembers the First World War. And so to help us in our quest we will be holding an Open Day on Saturday 7th November between 11am and 3pm at The Met, Bury. I was lucky enough to get over to The Met last week and see the artwork being installed! It was amazing to watch as I had no idea how much thought and effort goes into preparing, arranging and hanging pieces of art. The exhibition is now fully in place and can be viewed in the upstairs foyer and bar of the venue by anyone who has tickets for live performances. For more information on Bury Remembers The First World War and details of our Open Day on the 7th November please contact Adam Carter on 0161 253 6782 or email a.j.carter@bury.gov.uk .You can also check out Adam’s dedicated blog where you’ll be able to learn more about the project and the fantastic work done by our volunteers. In time for the 5th annual Bury Light Night on Friday 16th October – we are busily preparing our brand new display cases to feature selected records from our Archives. One case tells the poignant story of a mother’s search for her son, Captain John Summerscales Hutchinson (known by his family as Jack), who went missing in France during World War One. The story unfolds in a series of correspondence between family, well-wishers, agencies and bureaus. The Hutchinson family papers were donated to Bury Archives in the 1970s by Geoffrey Hutchinson, Lord Ilford. Within this collection are many papers, deeds and documents from over four centuries which tell us a great deal about The Hutchinson’s family business in wool and cotton as well as glimpses into their social and personal life. Born on the 2nd September 1882, John Summerscales Hutchinson was the eldest child of Henry Ormerod Hutchinson and Elizabeth Hutchinson nee Clegg. John’s father helped manage Daisyfield, a large cotton spinning mill on the banks of the Bury-Bolton canal. By the time that his father died, in 1912, we know that John had received a commission to 2nd Lieutenant in the Land Forces, The Prince of Wales Volunteers (South Lancashire Regiment). And in 1909 John had married Marjorie Emma Wrigley. A report made in October 1914 informs us that John (now Captain John Summerscales Hutchinson) was officially reported missing on September 20th 1914. Chronologically, this report sets in motion the searches made on behalf of John’s mother, Elizabeth Hutchinson and John’s wife, Marjorie. The report itself is a detailed account of the difficulties experienced while searching for the Captain in various military hospitals throughout northern France. The writer of this document assures Mrs Hutchinson that he has ‘done all possible in the research work’ and concludes that ‘the Captain is certainly not in Paris wounded … [and] if alive and still in the Lines no information that this is so can possibly be sent by anyone’. A letter sent to Mrs Hutchinson by Marjorie shares the news that, ‘at last I have heard from Jack, it was written on August 15th so it has taken some time to come, he seems quite well’. There are several more un-dated letters written by Marjorie to her mother-in-law, some appear optimistic as she thanks Mrs Hutchinson for being kept up to date – she writes, ‘many thanks for your letter, I do wish something could come out of all the people you have seen’. Another letter expresses her despair as she states, ‘I know we can only hope and pray and I am doing that but it is too awful, I can’t write any more’. Hutchinson is a prisoner of war in Germany, but is well. The Military Secretary presents his compliments to Mrs Hutchinson and in reply to her letter regrets to say that no information whatever has been received concerning her son. Numerous lists of prisoners have been received from Germany, but in none of them does his name appear. In the process of exhumation the grave of J. S. Hutchinson was located in the vicinity of Romeries, and his remains have been re-interred in Romeries Communal Cemetery. no letter from you has arrived in England. Are you quite well? The letter is accompanied by a plain brown envelope addressed to Mrs Hutchinson from the ‘Returned letter Section’ of the G.P.O in London. For more information on the Hutchinson Family, their connection with Bury and cotton manufacturing please see our resources page and the project Cotton Threads.